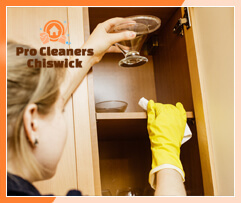 Pro Cleaners Chiswick offers a wide variety of residential and commercial cleaning services. You don’t have to think twice before booking our company in W4 Chiswick. We can offer you some of the best cleaning you’ve ever seen! Hire us and we will breathe new life to your home or office. We are willing to work hard to ensure the final results will meet even the highest expectations. Our team consists of hard-working, experienced and licensed perfectionists who always give their best in order to satisfy our company’s clients. You won’t be making a mistake if you dial our number to book us! We understand the importance of returning to a clean home. 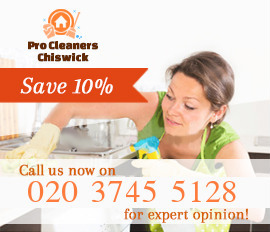 That’s why we provide the most detailed and high-quality cleaning services in W4 Chiswick. But the only way for you to make sure is to dial our number. One of the services we currently offer is carpet cleaning. Our cleaning methods are carefully selected to extend the life of your carpets. Our cleaners will quickly remove all stains, dirt, sand and allergens from your carpeting to ensure the safety and comfort of your entire family. We fully understand the importance of maintaining expensive carpeting – that’s why we aim to eliminate the risks of damage to an absolute minimum. 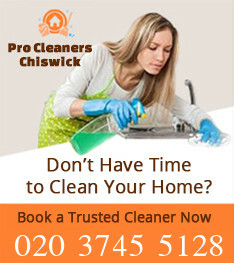 We also provide high-quality oven cleaning in W4 Chiswick. Cleaning your oven of built-up grease could be a difficult task. That’s why our team of professional cleaners will gladly do it for you using only efficient, yet non-toxic products. With us you’re oven will be sparkling clean in just a few hours. Apart from that we can also provide our customers with end of tenancy cleaning. It doesn’t matter matter whether you are a landlord or a lodger – our cleaners will clean your house or apartment from top to bottom in no time. 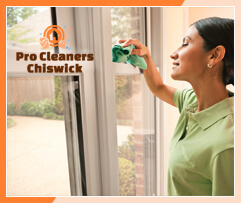 As the best cleaning company in Chiswick London, our relationship with our customers is the foundation of excellent services and impressive results. Book our team now and we promise you will be fully satisfied! One of the nicest residential areas located in the western parts of London is definitely Chiswick W4 and within the next lines we will try to tell you why is this so. First of all, the place is really great because it has lots of amenities and fun things that can offer to the local residents. If you enjoy rugby, then you should know there are a couple of local teams that you can go and watch. On the other hand, if you are not a huge fan of sports, then you should definitely go and do some sightseeing – the local theaters and Dukes Meadow are a must see. Another thing that makes Dukes Meadow so preferred is the transport network – it is really highly developed and you will have no problems even if you do not own a car.